Next month, nearly every American with a cellphone will receive a text message from President Donald Trump—and there’s almost nothing you can do to stop it. 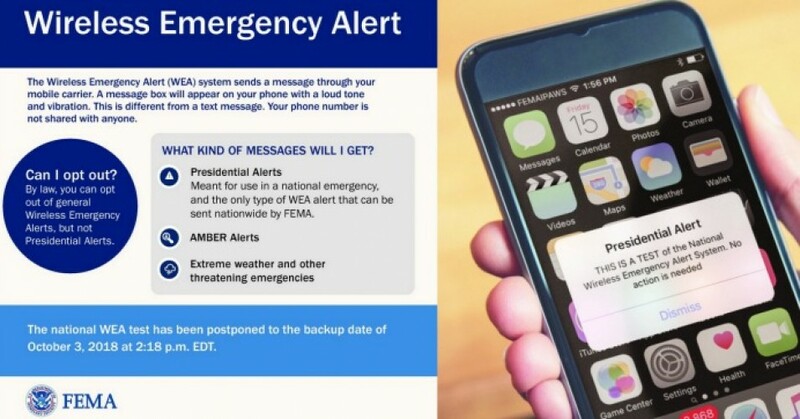 At precisely 2:18 pm ET on Oct. 3, the Federal Emergency Management Agency (FEMA) says it will test the nation’s first-ever “presidential alert,” a system that will allow Trump to address the entire nation directly via text. Users cannot opt out of presidential alerts—which will reportedly make a uniquely loud noise—so the only way Americans can avoid seeing the messages is to turn their phones off. And no, you won’t be able to text back. Though the 2006 law permitting presidential alerts specifies that the notification can only be sent in the case of genuine emergencies, critics have warned that Trump could attempt to hijack the system and use it much as he uses his Twitter feed—to praise himself, launch deranged attacks on his political enemies and the press, and spread bizarre lies. Trump is going to get the ability to push emergency alerts to our phones?
? Should I kill Spiders In My home? An Entomologist Explains Why Not To Crows Are As Smart As Children According To Science ?